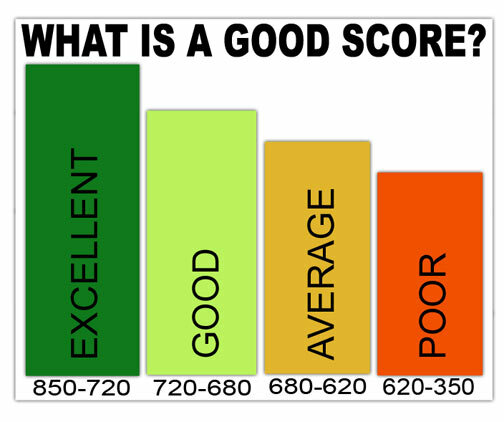 Equifax, Trans Union, and Experian credit bureaus will tell you, anything in or above the 700 range is considered a good credit score. As your credit score gets higher, it generally means the more credit worthy you are, and the higher pre-authorized credit limits you will receive. Also, depending on how much credit you are looking for, you will not require a co-signer. Having a good credit score will also give you the ability to negotiate the interest rate with your bank for your mortgage. If your credit score is low, then you may have to settle with whatever the going rate is, and keeping your mortgage with the bank that already has your current mortgage. A score of 700 and above allows you the flexibility to negotiate, or change financial institutions. 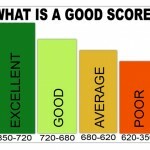 A high credit score is attractive to all lenders. They all want your business, and are willing to offer special incentives or rewards to get it. In some cases, the credit score you receive from the credit bureau, might be slightly different from the score a creditor has when they are approving you for a pre-authorized credit limit amount. One of the reasons it could be different, will depend on how the particular creditor you are looking for credit from scores a certain area on your credit bureau. As an example, they might weigh the fact you have never missed a payment on any credit card higher than if you have moved 5 times in the last 5 years. This is really up to the creditors score card which will determine how much you are pre-authorized for. Check out my vid, and I will give you more information on how to obtain your credit score.